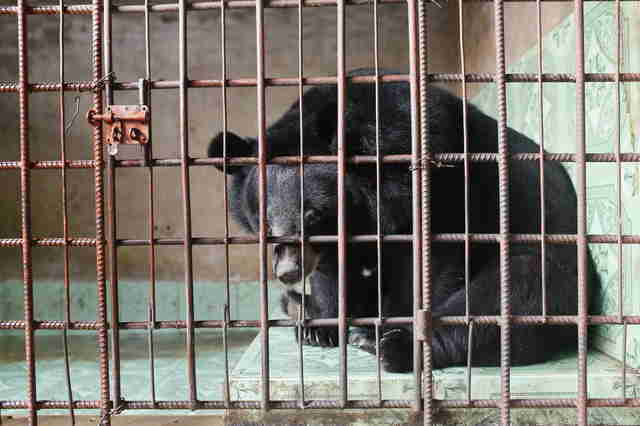 Saving captive bears from a bizarre type of "farm" is often a race against time. Bears who have been kept in cramped cages for their whole lives and drained of bile from their gallbladders — a substance used in traditional medicine — from a slit in their sides often suffer from acute health problems, including infections and severe malnutrition. 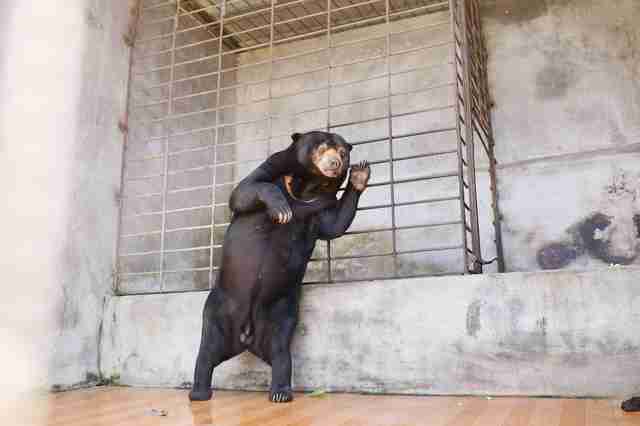 This practice is being phased out; bear bile farms across Vietnam are gradually closing down. For some bears, this means they will have a chance to feel what being a bear is really like — for others, it may be too late. 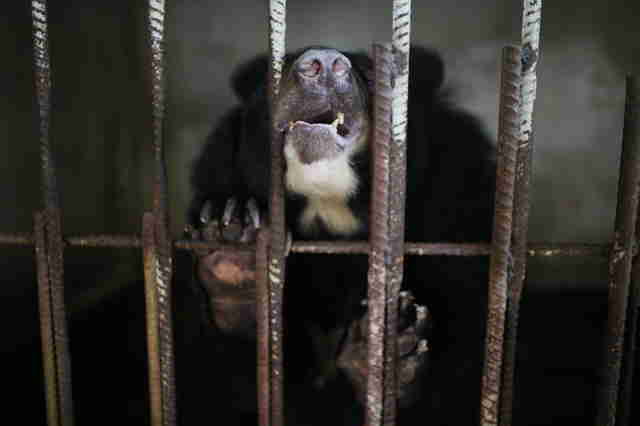 Rescuers from Four Paws International negotiated the freedom of three bears in Vietnam. Earlier this month, they arrived at several sites to pick up these former bile farm bears to bring them to a sanctuary. 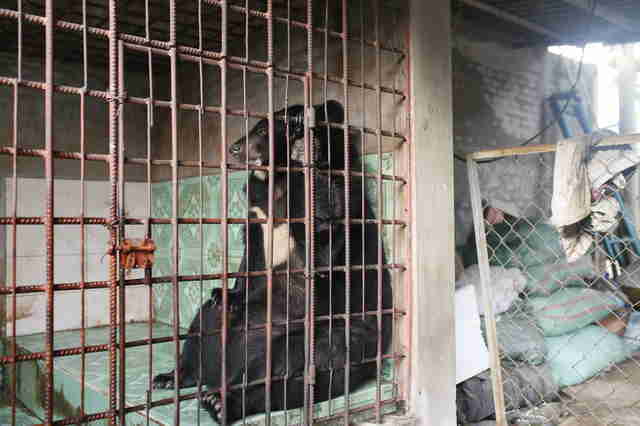 The rescue stories of bile bears are often bittersweet. While some are healthy enough to recover and live happy lives at a sanctuary for years after their rescue, others are simply too weak and broken to recover. Four Paws rescuers were hoping to give freedom to all three ex-bile farm bears — but they arrived back at the sanctuary with two. 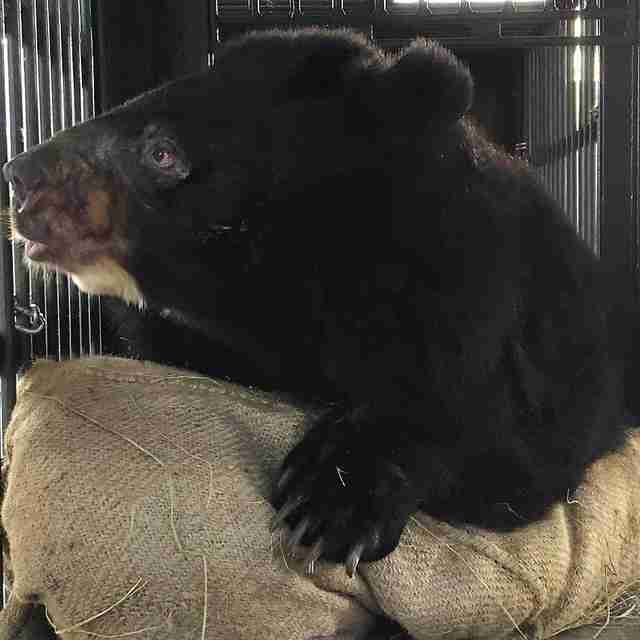 To save 16-year-old Trang, a female Asiatic black bear who had lived alone on a bile farm for years, rescuers arrived in the Ben Tre province. After being given an examination on-site, Trang was found to be in relatively good health considering all she had been through. But she was far from unscathed. Trang's owner had stopped extracting bear bile from her when veterinary costs became too expensive and the bile no longer brought in enough money. After spending years in her tiny cage, Trang was carried out of the cramped space for good. “The keeping of bears is still legal in Vietnam, but what’s not legal is to abuse bears for their bile. Many bears are still left to suffer and are not cared for properly," Claire LaFrance, head of communications for Four Paws USA, told The Dodo. 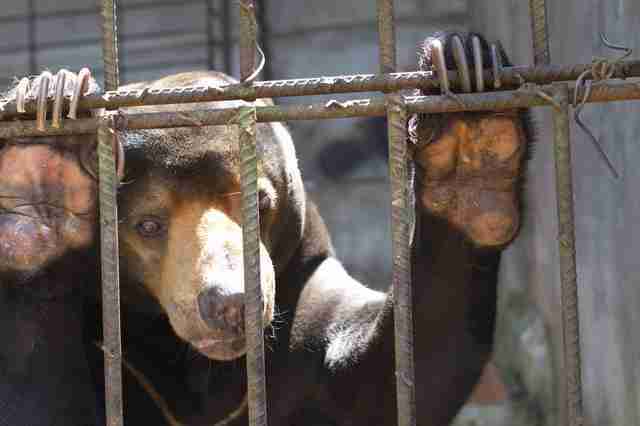 After freeing Trang from her cage and loading her into the rescue caravan, rescuers had to make another stop, in the Dong Nai province, for a male bear named Long. Long had a hard time even straightening his back during the examination. Rescuers realized that he would need a pain management plan for the rest of his life at the sanctuary. A few days later, footage of Long in the quarantine quarters at Bear Sanctuary Ninh Binh shows him walking across his enclosure to take a sip of water. Although he clearly struggled with some pain, he seemed curious and happy about his new environment. 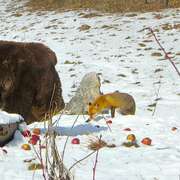 The 22-year-old bear even managed to scarf down a meal of fresh fruit and vegetables. 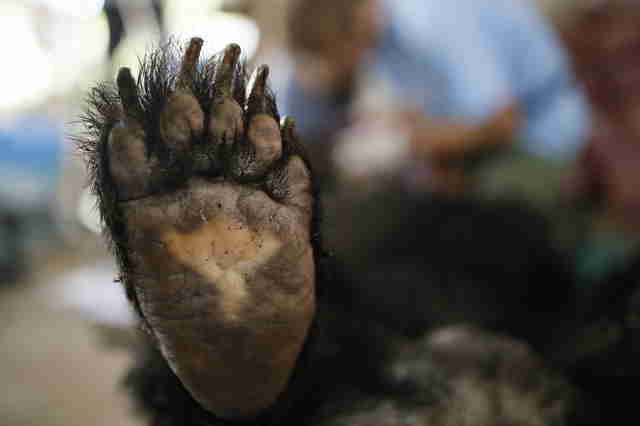 The rescue team had hoped to bring another bear back to the sanctuary: a sun bear named Sao. Sao had been living in a dilapidated zoo in a concrete enclosure for the last several years since leaving the bile farm where he was used. At first it seemed that he would be able to make the lengthy trip to the sanctuary and experience a better life. "Sao did fine during and after the vet check performed by our veterinarian, Dr. Johanna Painer, and our Vietnam bear team. He woke up from anesthesia quickly and was doing well," Four Paws wrote. But five hours into the trip, things took a worrying turn. "Sao suddenly started bleeding from his nose and mouth, and his breathing became heavy," Four Paws wrote. "Our team reacted immediately and provided him with infusions, oxygen and intensive care." 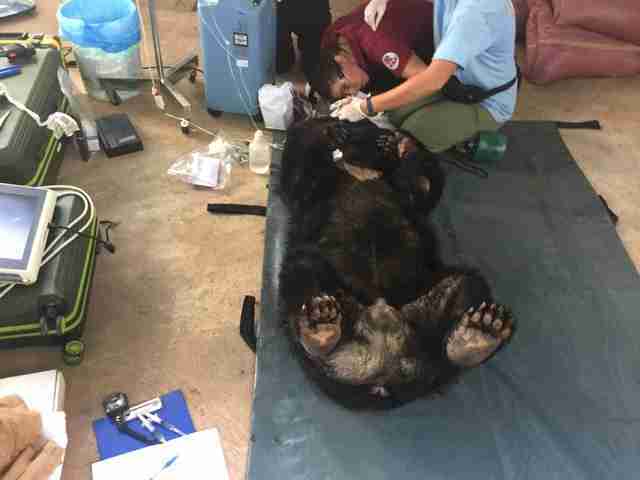 Rescuers spent 12 hours trying to keep Sao alive, but the bear was just too far gone. He passed away surrounded by the people who were determined to save him. ​​​​​​"Following this devastating loss, we are doing everything in our power to give the two remaining bears, Trang and Long, the pain-free future all three would have deserved so badly," Four Paws wrote. "Through Trang and Long, Sao will forever have a place in our hearts." Now that Trang and Long are safe at the sanctuary, they will spend some time in sheltered areas before exploring its vast natural landscape. The change could come as a shock if sprung on them too quickly. "These bears were stressed and in bad shape before they were rescued ... you never know how an animal will react," Robert Ware, executive director of Four Paws USA, told The Dodo. "When and if any bear exhibits symptoms, our team is trained to react quickly." 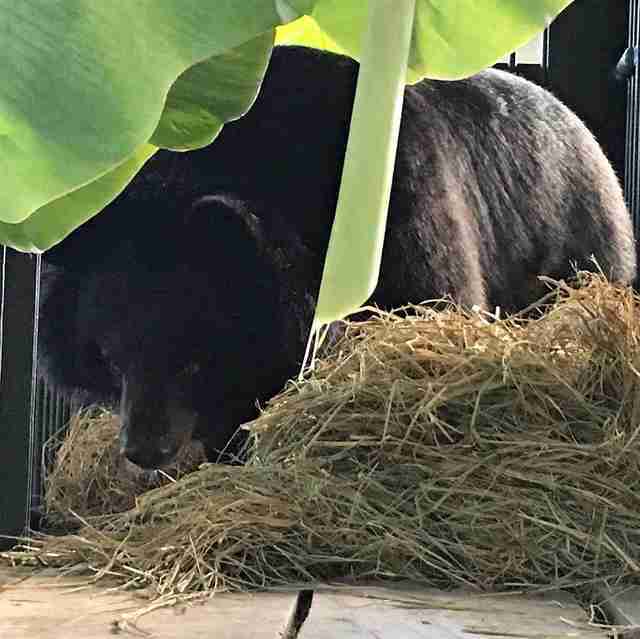 When they're ready, Trang and Long will be able to step outside and feel the fresh grass beneath their feet, an experience treasured by dozens of other bears saved by Four Paws. “With the rescue of bears Long and Trang, we’re happy to announce we now have 89 bears under Four Paws’ protection," LaFrance said. "That’s 89 lives who have been saved from miserable conditions and been given a second chance at life." You can help Four Paws with its lifesaving work by making a donation.